New research of Invesp shows that companies with omnichannel customer engagement strategies retain almost 50% more customers. According to Invesp, a leading provider of website conversion optimization intelligence, AB and multivariate testing software and services, omnichannel shopping has become one of the key driving factors of in-store and online shopping experience: companies with omnichannel customer engagement strategies retain on average 89% of their customers, compared to 33% for companies with weak omnichannel customer engagement. Omnichannel shopping makes it possible for a shopper to check availability of product prior to visiting a store, buy or reserve a product online and pick it up later in store, use social media to access across the channels, have profile information available across all the channels for easy access and consistent shopping experience from one channel to next. Around 70% of US online shoppers said that they had used “buy online, pick up in-store” services. The top four omnichannel shopping product categories by percentage of customers are: consumer electronics (65%), apparel (64%), toys (63%) and home appliances (58%). Although 72% of digital shoppers consider in-store experience as the most important channel when making a purchase, smartphones have been playing bigger and bigger role in retail: they influence more than 28% of US retail sales. 71% of US shoppers who use smartphones for research admit that their devices have become more important for their in-store experience. 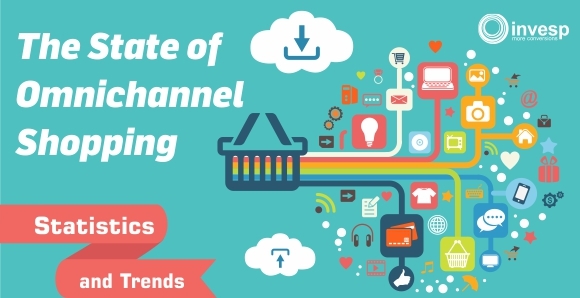 For further information, please refer to Invesp infographic “The State of Omnichannel Shopping”: http://www.invespcro.com/blog/state-of-omnichannel-shopping. About Invesp: Invesp is a leading provider of website conversion optimization Intelligence, AB & multivariate testing software and services. Invesp has been leading the CRO industry since 2006 with over 35+ years combined experience, 400+ optimization projects in multiple verticals and industries spanning 11 countries worldwide. The co-founders of Invesp, Khalid Saleh and Ayat Shukairy, wrote the best-selling book on conversion optimization. They have been successfully taking companies, small and large, from single digit conversion rates to increased sales and revenue within a few months.